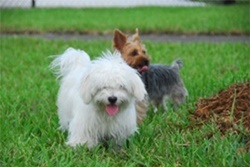 We research great places to go with your dogs!Please see our dog parks and beaches interactive map. 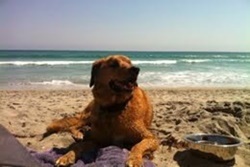 Town of Jupiter's Dog Beach - see video! 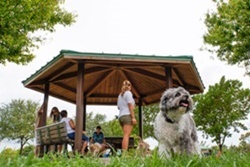 Dogs are only allowed in non-guarded areas north of Marcinski Rd and south of Carlin Park; dogs must be on leash or in voice command at all times. 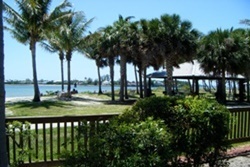 Acres of tropical park with swimming areas, all sorts of water activities, paved walkways, observation deck, Palm Beach Maritime Museum, campground, rest rooms. 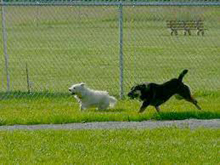 Dreher Dog Park - see video! 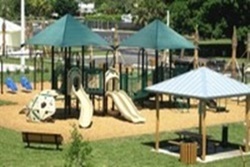 Free, large dog park across from Palm Beach County Zoo; large and small dog areas with plenty of shade and water. 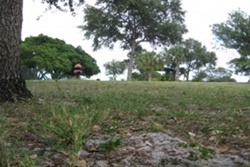 Okeeheelee Park - see video! 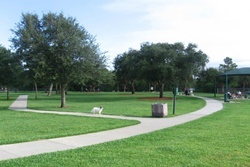 There are 2 large and 1 small dog areas, a paved dog wash station, dog fountains, bag dispensers, covered trash cans, shaded sitting areas and benches. 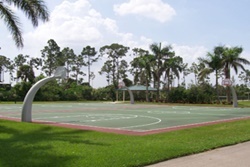 Large and small dog areas, agility equipment, shaded seating, drinking water. There are large and small dog areas, the fences are low, so the park is not appropriate for dogs that jump fences. There is no fee for residents, $25 per month for non-residents per vehicle. Don't lose your pet on vacation - or ever. The Pod is the world’s smallest and lightest GPS + WiFi Pet Tracker. It’s designed to attach to any size collar and lets you locate your pet on demand, monitor their activity and record adventures on a smart phone or computer. Get it here. 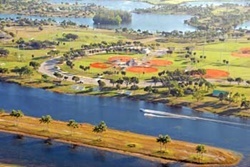 Lake Ida Park Dog Park -- see video! 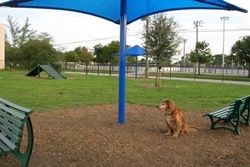 2.5 acres of fenced play areas, for large and small dogs, 8 shaded sitting areas, bag dispensers, 2 dog drinking stations, and washing area.